Rajasthan, India. In Bikaner, I signed on for a van ride to the nearby Deshnoke to see the Karni Mata Temple. 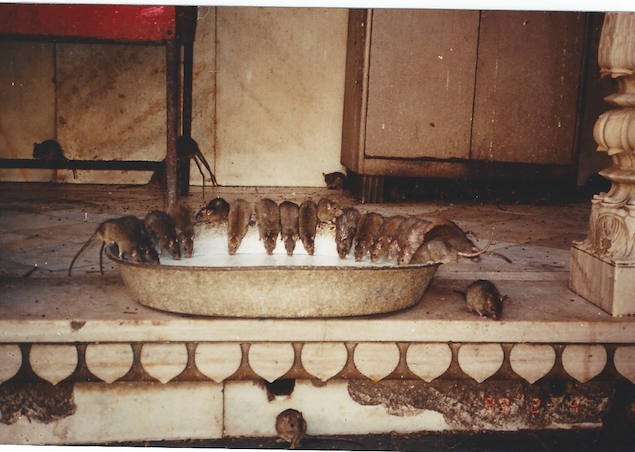 It was a temple for a Hindu sect that venerated rats. (I had heard that wise men were ultimately reincarnated into rats before reaching Nirvana so that sounded plausible.) This temple was set in an urban area and looked fairly innocuous from the outside. We were told to take off our shoes and shuffle our feet so we wouldn’t injure a rat by accidentally stepping on one. I took off my shoes and entered. There was a ceremony that day for which people were dressed in their finest. That removed any sense of comedy for me, and I respectfully admired the temple as I would any church. 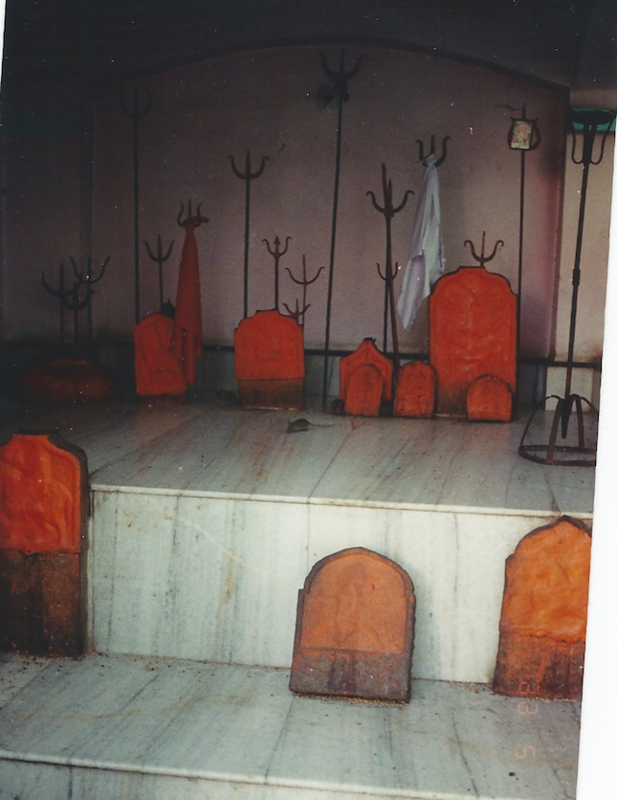 There were orange gravestone-looking tablets with what looked to my eyes to be Devil’s forks rising behind them. What mostly sticks in my mind are the wide, low bowls of milk set out for the rats; they would be crowded with rats sitting on the rims to drink. There were so many rats roaming about; they say there are thousands. I did not count the rats, but I spent some time there shuffling about and contemplating the human relationship with religion. Upon leaving, I sat on a sidewalk bench to put on my shoes and decided to discard my socks. Here is another post about India. TATTOO—Journeys on My Mind is available at Amazon.com and BarnesandNoble.com and Apple’s iBooks. Get an ebook or paper book now.